Single glazed old sash windows are notoriously less energy efficient than new ones. While new double-glazed windows will save on energy bills in the long run but less effective when it comes to noise reduction. Replacing old sash windows in a period property may actually decrease the value of the house. So when it comes to upgrading old windows, the homeowner has to be careful and consider all the options available. 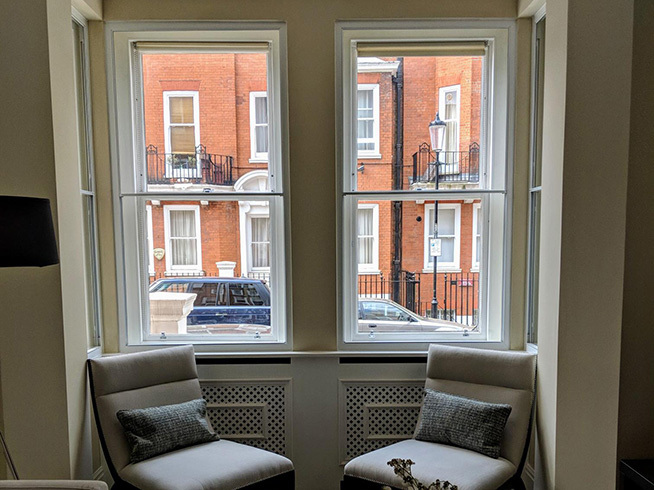 The most effective option is secondary glazing, its the very best way to sound proof the existing sash window as well as insulating it. The cost and leadtime will beat any other options that may be availble. Acoustic and Thermal insulation for your sash windows.